Net worth is a term that makes us cringe, but it is a number we cannot ignore. In this episode we chat with Natali Morris who will flip how you look at net worth and make it more appealing. 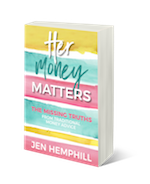 We also get to know about her money story and she shared so many great nuggets which I know you will love. Natali grew up with parents who were good with money; they did not fear it. Both of her parents came from a working class background, and had the ‘rich dad’ mentality. Her parents believed in making your money work for you. They always worked together, and spoke about their goals; they created together. Natali has always been one to absorb self worth and motivational speeches and books. When she was younger, her parents fell in love with Jim Rohn. They even took her to one of his shows, as teenagers could get in for free. At 16, Natali’s parents refused to buy her a car. It would have been easy for them, but instead they insisted she get a job, research car models and car insurance. When it came time to purchase her car, they also made her get her own checkbook to pay off monthly loans. She had to balance the checkbook, and show them every month. When Natali was 10, her father gave her an assignment on Microsoft excel; she had to do the tutorials, print them out, and show him. A couple of years later, at the age of 12, Natali’s father asked her to create her own balance sheets. She would write down everything she owned, their worth, and her debts. She had no liabilities at 12, but her father wanted her to understand her wealth at a young age. She would continue to give her father a balance sheet every year. Natali continued to create balance sheets into her 20s. Now, when she make a purchase, she recounts how said purchase could be justified on a balance sheet. According to Natali, your net worth will change, year to year, and it is important to determine why. With three kids, Natali frequently discussed money management. With the birth of her first child, she wished to be a working mom. She tied her entire self worth to her career as a TV board-caster. She believed her 6 figure salary made her family safe. When she had to leave her job, it was not on her terms. It took her several months being at home with her son to realize the satisfaction in reinventing. It turned out leaving her job was the best thing that could have happened. Her situation forced her to work on self-building. Without the hardship, Natali would have never created her message of self worth, or determined how to apply wealth building into her family. With two jobs, Natali and her husband kept separate checking accounts, and one checking account for the shared expenses. When Natali left her job, this set up no longer worked and they needed to merge their money. She was always proud when she could pay for things herself. So, making the decision to merge their accounts was difficult for Natali. She wanted to make sure that she wasn’t just domestically contributing to the family. Natali also feared that her husband would love her less without a high paying job, but this was something she put on herself. To make things work for her family and ease her mind, she planned out a budget. Natali decided she would manage their money; she made stock investments, opened 529s out of state, and researched as much as she could. Her husband started researching real estate investment, as she focused on exploding their net worth. They were so successful that, in the fall, her husband also left his day job. They had successfully created a business within their family. Money is not just bills. If we are only managing the bills, it diminishes us. Studies show women are more successful investors, yet the media portrays them as clueless. Women know what they need to do, they simply lack confidence. By focusing on the bills, women find ways to save money which diminish them. You need to be the narrator for ever purchase, not the listener. 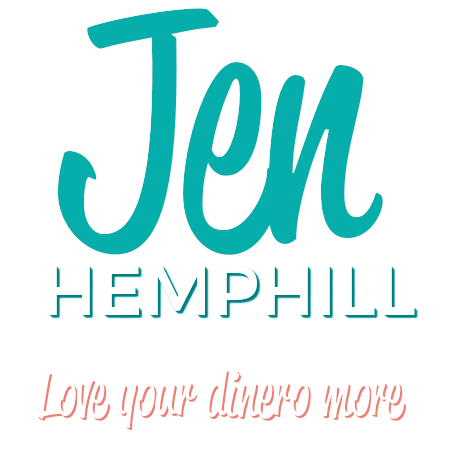 When you focus on budget living, you diminish your worth. When you save money on purchases, where do the savings go? Are they being used? Otherwise there is no reason to do all the work. Write out what you want, what it cost, and figure out how it can be paid for. 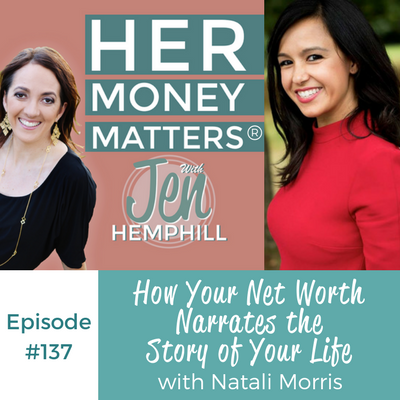 The post, HMM 137: How Your Net Worth Narrates the Story of Your Life With Natali Morris appeared first on the Her Money Matters Podcast.